Upsetting security news from Reuters: The massive security breach that exposed millions of Target customers’ credit card numbers to hackers and thieves is far bigger than immediately believed, with similar yet-to-be-reported breaches having occurred in other mall stores. 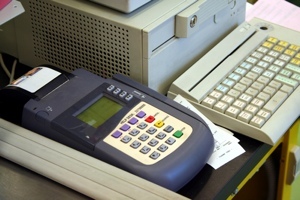 Sometime last year, Target’s point-of-sale terminals were infected with malware by what is now suspected to be a crime ring based out of Eastern Europe. It was initially reported that 40 million credit card accounts were taken, but the company’s most recent update pegs the actual number closer to 70 million. We’re now learning that Target was not the only store targeted by thieves. Neiman Marcus was also hacked, as were “at least three other well-known U.S. retailers,” Reuters explains. It’s believed the same criminal group may be responsible for all these hacks. Companies are being tight-lipped about these data breaches, because as you might imagine, past credit card fraud is bad for business. Target’s says its sales have slumped between 2 and 6% after the hack was disclosed. If you have reason to believe one of your accounts was compromised in these hacks, you should call your bank and report the incident using the phone number located on the back of your credit or debit card. For more tips on reporting and fighting fraud, check out our past coverage of the Target hack or the FTC’s page on identity theft.